Our maintenance team is a diverse crew. From our administration to our mechanics, we have more than 200 years of combined industry experience. We focus on hiring the best in the industry - men and women who take pride in the quality of their work. 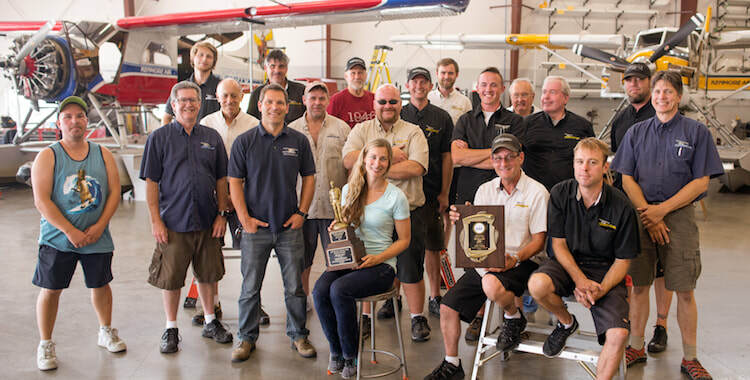 From maintaining our own fleet to inspecting, repairing and restoring the aircraft of our customers - we’re experts at keeping DHC-3 and DHC-2’s flying year-in and year-out. Our crew is split between our main base of operations in Kenmore, Washington and our shop at Boeing Field in Seattle, Washington.